Welcome to Sustainable Benefits – Let’s begin with the benefits of doing a commercial building sustainable retrofit…. “Who is more foolish: The child afraid of the dark or the man afraid of the light?” (Maurice Freehill, British WW I flying ace). 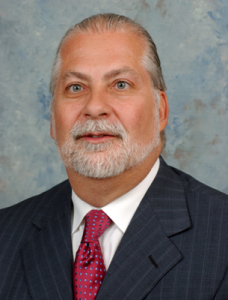 Throughout my 36-year career in commercial real estate, commercial buildings have generally been classified from A to C based on location, construction quality and tenancy. Class A buildings represent the cream of the crop. They secure credit-quality tenants, command the highest rents, enjoy premium occupancies, are professionally managed and have a risk profile that supports lower cap rates and higher values. Class B buildings are similar to Class A but are dated yet not functionally obsolete. Class C buildings are generally over 20 years old, are architecturally unattractive, in secondary or tertiary locations and have some functional obsolescence with out-dated building systems and technology. NOTE: No formal international standard exists for classifying a building, but one of the most important things to consider about building classifications is that buildings should be viewed in context and relative to other buildings within the sub-market; a Class A building in one market may not be a Class A building in another. Based on years analyzing investments in income properties, it appears to me that in the recovery from the Great Recession the commercial real estate market has evolved to include energy efficiency and environmental design as a requirement for improving the marketability of a building – not to mention optimizing its operating income and value. Have a 27% higher rate of occupant satisfaction. 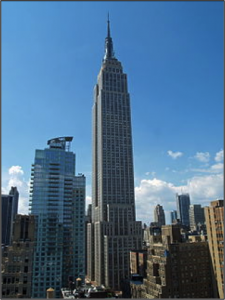 One of the most famous sustainable retrofit projects undertaken was the updating of the 2.85 msf Empire State Building whose ownership directed that sustainability be at the core of the building operations and upgrades implemented as part of the $550 million Empire State ReBuilding program. According to Craig Bloomfield, of Jones Lang LaSalle (JLL), “After the energy efficiency retrofit was underway, JLL led a separate study of the feasibility study of LEED certification” which “showed that LEED Gold certification was within reach at an incremental cost of about $0.25 psf. Source: Institute for Market Transformation: Studies consistently show that ENERGY STAR and LEED-certified commercial buildings achieve higher rental rates, sales prices and occupancy rates. According to John Bonnell and Jackie Hines of JLL – Phoenix, “In Phoenix, owners of LEED-certified buildings can capture a premium of 29 percent over buildings without this distinction.” The premium for Green buildings had disappeared during the Great Recession and reemergence in the first quarter of 2014 as a result of improving Phoenix market dynamics which is being realized in other major markets as well. On average, Starbucks, which just opened their 500th LEED-certified store, has realized an average savings of 30% in energy usage and 60% less water consumption. McGraw-Hill Construction, which surveyed retail owners, found that green retail buildings realized an average 8% annual savings in operating expenses and a 7% increase in asset value. It is noteworthy that, according to the third annual Solar Means Business report published by the Solar Energy Industries Association, the top corporate solar user in the United States is Walmart. In fact, almost half of the top-25 solar users are retailers (the others are Kohl’s, Costco, IKEA (9 out of 10 stores are solar powered), Macy’s, Target, Staples, Bed Bath & Beyond, Walgreens, Safeway, Toys ‘R’ Us, and White Rose Foods). Other Top-25 solar users with a significant retail footprint include Apple, L’Oreal, Verizon and AT&T. In the competitive retail market, the study also noted that being distinguished for pro-active and responsible corporate social responsibility attracts customers and investors. Properties in the Green Retrofit Program had realized a 26% reduction in water consumption – or $95/unit annually. The energy consumption in the Green Retrofit Program was reduced by 18% representing an annual savings of $213/unit. Surveyed buildings in the Energy Savers program had reduced gas consumption by 26% and had reduced excess waste by an average of 47%. The water saving measures in the Green Retrofit program reflected a simple payback period of one year while the energy savings measures had a simple payback period of 15 years. In an article be Chrissa Pagitsas, Director – Multi-family Green Initiative for Fannie Mae, reports that 17 multifamily properties have achieved Energy Star® certification with two of them, Jeffrey Parkway Apartments in Chicago and ECO Modern Flats in Fayetteville, Arkansas, receiving financing from Fannie Mae. The Eco Modern Flats complex is over 40 years old. With the goal of reducing operating expenses, the project was retrofit in 2010 with energy and water efficiency improvements including low-flow showerheads and faucets, dual flush toilets, ENERGY STAR® certified appliances, efficient lighting, closed-cell insulation, white roofing, solar hot water and low-e windows. As a result of the retrofit, the property achieved a 45% reduction in water consumption, a 23% drop in annual electricity use including a 50% savings in summer electricity consumption while increasing the in-unit amenities, obtaining LEED Platinum certification and increasing occupancy by 30% resulting in a significant increase to Net Operating Income. Multi-family properties made sustainable gain a competitive advantage in marketing to young professionals and other target audiences who prefer to live in an environment that is healthy and energy-efficient which saves money on utilities. In a 2014 study conducted by Cornel University, researchers compared the earnings of 93 LEED-certified hotels in the US to 514 non-certified competitors. The study included a mix of franchised, chain and independent facilities in urban and suburban markets with three-quarters of the properties having between 75 and 299 rooms. The results show that green or sustainable hotels had increased both their Average Daily Rate (ADR) and revenue per available room (RevPAR) with LEED properties reporting an ADR that was $20.00 higher than the non-certified properties (prior to certification, they reported an ADR premium of $169 vs. $160). The researchers noted that these premiums were realized in price-competitive markets and that the amount of the premium was unexpected. From the results, they concluded that Eco-minded travelers were willing to pay a modest premium to stay at a verified green facility. The Hampton Inn & Suites, a 94-room facility in Bakersfield, had REC Solar install carport-mounted solar panels which is offsetting 44% of the electricity costs, or up to $8,800/month – adding over $100,000 to the property’s bottom-line. The 80-room Chatwall Hotel in New York completed an LED lighting retrofit project mid-year 2014 which will result in a first year savings of almost $125,000. The cost: just about $1.00 per LED light after rebates. According to Flex Your Power and ENERGY STAR® statistics, the hospitality industry spends approximately $4 billion on energy annually with electricity, including the HVAC system, accounting for 60% to 70% of utility costs. In fact, excluding labor, energy is typically the largest expense that hoteliers encounter and the fastest growing operating expense in the industry (www.cpr-energy.com). The EPA has concluded that even a 10% improvement in energy efficiency is comparable to realizing a $0.62 and $1.35 increase in ADR for limited service and full service hotels, respectively. Many studies show that hotels do not realize the full benefit of many energy efficiency measures as guests feel no obligation to employ sustainable practices and wastes the opportunity for savings afforded by the hotel’s energy efficiency measures; however, almost half realize savings in excess of 20% reflecting that many operators have found ways to enlist guest cooperation in saving electricity and water. 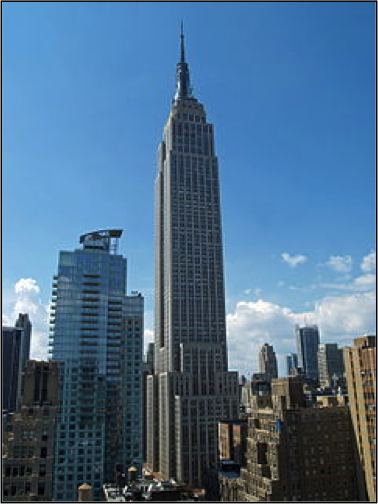 According to the US Energy Information Administration (EIA) 2012 Commercial Buildings Survey, the United States had approx. 87.4 billion square feet of floorspace in 5.6 million buildings that were larger than 1,000 sf which also excluded heavy industrial manufacturing facilities. Ninety percent of the buildings that will exist in2035 have already been built – and buildings consume 80% of energy used in cities worldwide and represents almost 20% of all energy consumption in the United States. The evidence is clear – building and operating sustainably pays dividends – in improved NOI from cost savings and increased revenues. Attracting higher quality tenants, improving market perception and reducing risk indicates that going Green is becoming a key for maintaining the Class of a building – keys to improving long-term values through lower cap rates. 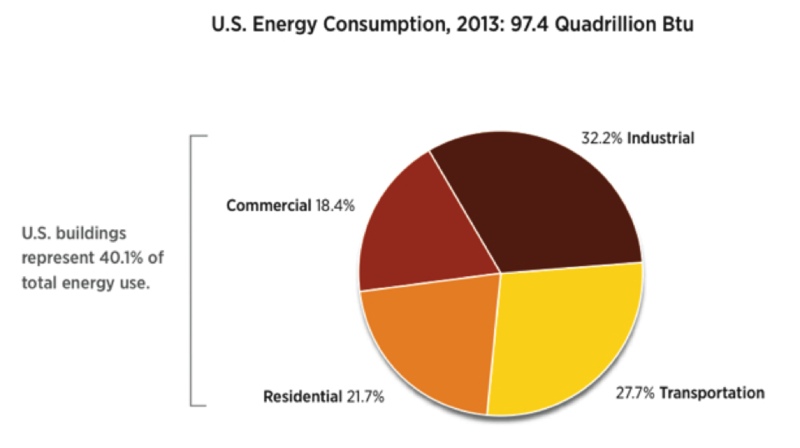 So, why aren’t more building owners and managers going green? We will seek to discern this matter in our next Sustainable Benefits.